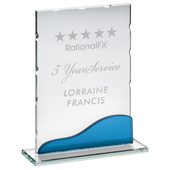 Jade Glass Arch Award. This is an excellent choice for any corporate or sporting event. 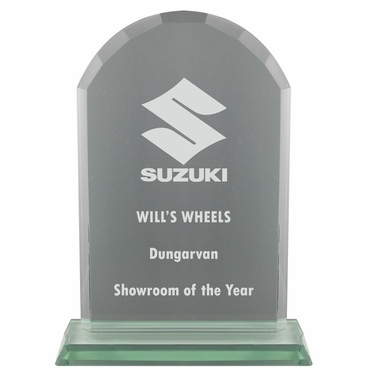 Presented in a satin box for an added professional touch, you can also add a customised engraving to this award.